Dilofo, situated in the otherworldly surroundings of Kentriko Zagori (Central Zagori) 31 km away from the city of Ioannina, is a traditional, picturesque village, which has stayed untouched through the years. There you can enjoy your staying in a traditional, lordly mansion-house renovated into a hotel (9 luxurious rooms and 1 suite) with zeal and care. Archontiko Dilofou consists of 9 rooms and a suite. Moreover, in our mansion-hotel Archontiko Dilofo you can taste a traditional breakfast made exclusively with local products. In the evening, having returned from your excursions, you are offered the chance to enjoy the warm atmosphere of our fireplace as well as the traditional pies, the local handmade sausages and the various kinds of local cheeses. Furthermore, you can taste some delicious traditionally cooked meals such as pork “prasoselino”, wined rooster and boiled goat accompanied by local wine and the famous “raki”. ΖΑ – GORA: stems from the slavic “Za-gora” that means “the place behind the mountains”. “Zagori” stems from the slavic “Za-gora” that means “the place behind the mountains”. Zagori is a region with many special natural, historical, social and cultural characteristics, situated in the heart of the mountain range of Pindos. The dense forests in the Eastern Zagori; the deep rocky ravines in Central Zagori; the rich flora and faun; and the picturesque villages built on an altitude between 600 – 1.400 m make Zagori a place of unique beauty. Across the national street of Ioannina-Konitsa-Kozani and after the metal bridge in the 19th km, turn right to Central Zagori. After the village of Aspraggeloi turn right to Kipous and Tsepelovo. In the 3rd km turn left to Dilofo and in the 1st km you discover the traditional village Dilofo. Archontiko Dilofou is a homely guesthouse perched above the square of this lovely, out of the way mountain village – one of the lesser known but most beautiful of the 46 Zagorochoria. It is tastefully decorated, with great rooms, some more spacious than others (the best ones include a fireplace and great views of the surrounding mountains). 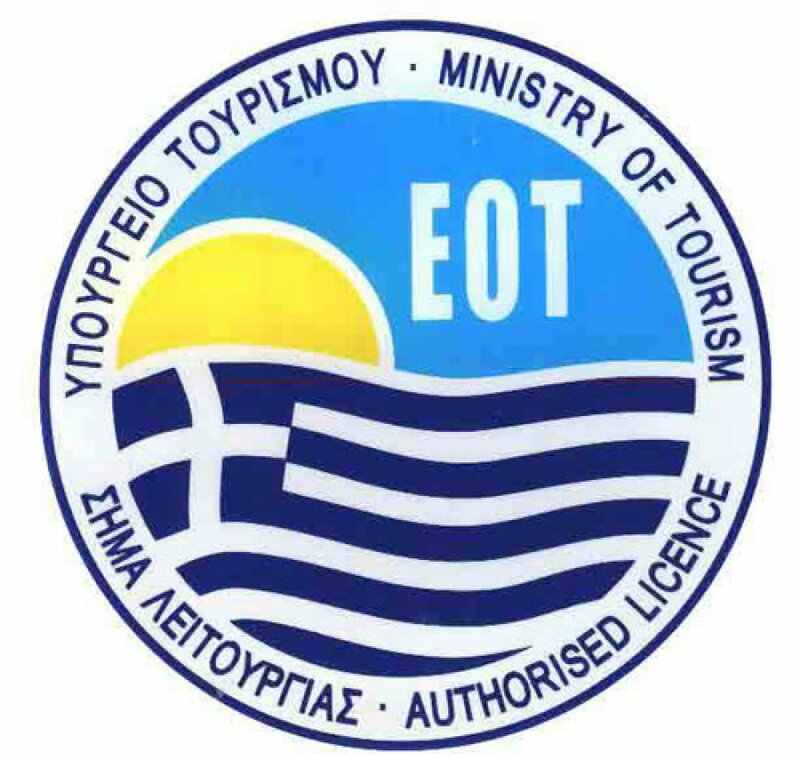 But the centre of the action is the common room/reception area: there you can eat a hearty breakfast, including local pies and other delicacies, you can play board games, enjoy an afternoon tsipouro after a long day on the trail, and learn about all aspects of Zagorian nature and history from Giorgos, the affable owner whose stories and recommendations serve as the best introduction to the region. 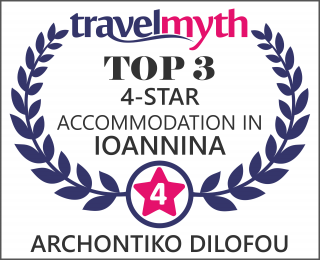 We stayed 2 nights in archontiko dilofou. The room is compact, very clean, beautifully furnished and decorated and has a warm cosy feeling. So is the Lobby and Dining room. Breakfast was very good. Our hostess, Piros, was overall nice, though a bit distant at times and did not go out of his way to help. A second, older guy (didn’t catch his name) was more “into it”. Diloufo is charming!, though it has two drawbacks – no taverna (there is one taverna that is closed. actually there are NO services there. But nearby Elati has a great taverna), and you can’t reach the hotel with a vehicle (you leave the car in the parking lot at the entrance to the village and from there it’s a 5 minute walk up and down stone alleys. charming, but totally uncomfortable with trolleys). Overall – a wonderfully romantic and classy place, especially for couples.